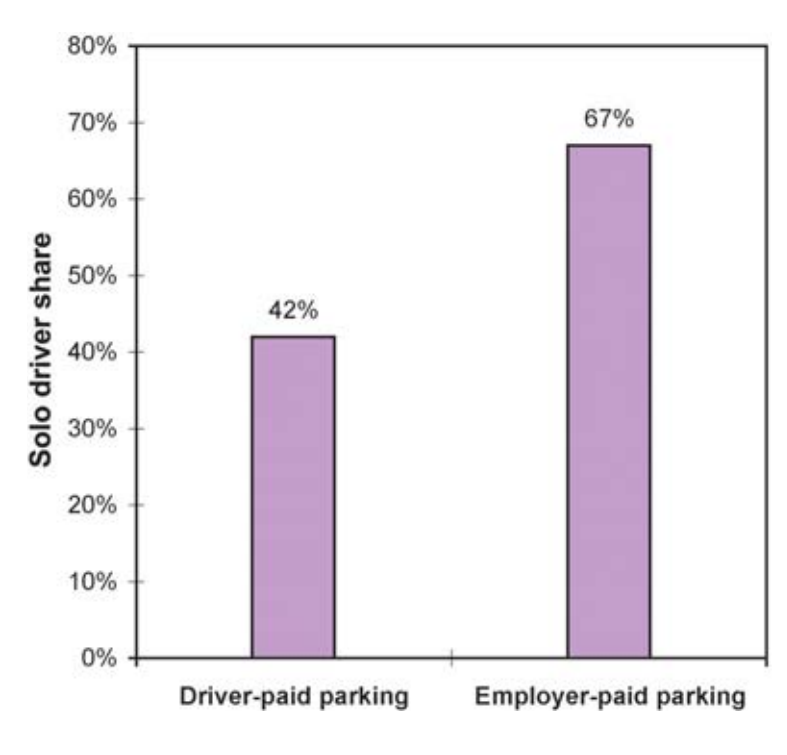 Shoup continues to explain that it is time to level the playing field and has been promoting a policy called “parking cash out” for over a decade. The good news is a new DC bill titled “Transportation Benefits Equity Act” includes just this, as The Washington Post reports. Washington, DC, councilmembers Charles Allen, Mary Cheh, and Brianne Nadeau introduced the new bill to try to stimulate healthier urban choices and reward those who make such choices, which benefit broader society. The Washington Post focuses on the issue at the heart — fairness of choice. 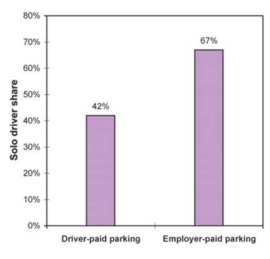 “I can much more easily rationalize hopping in my car and driving downtown when I got a free parking spot,” said Council member Charles Allen (D-Ward 6), a lead sponsor of the bill. 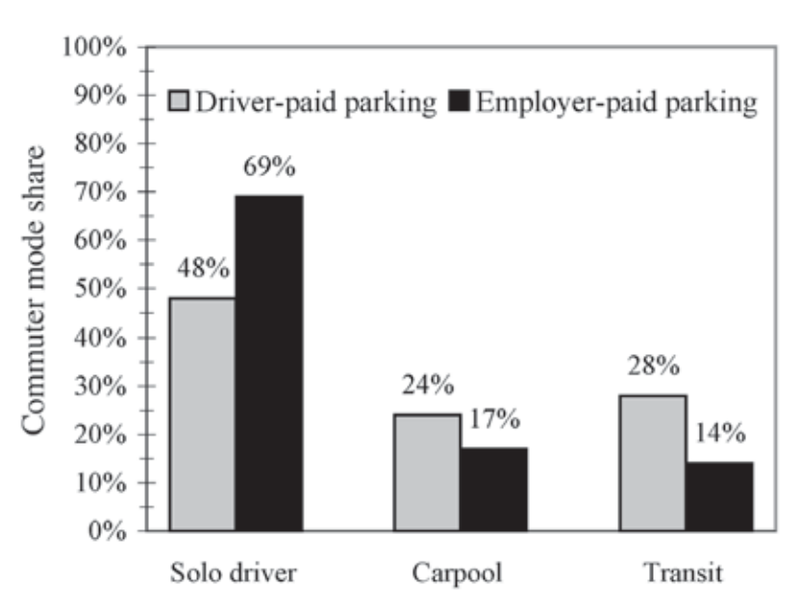 “But if my employer says, we are going to give you a parking spot or we can give you transit benefits or cash if you bike to work, then I have the flexibility to make the choice that is best for me.” The change, he said, would address a fairness issue for the workers who sometimes turn down a valuable perk because they don’t drive. Along with this, perhaps it is time to introduce a bill that requires all parking lots to be covered by solar panels.